Sen. Robert M. “Tommy” Tomlinson is serving his sixth term representing residents of the 6th District in Bucks County. Previously, Tomlinson served in the Pennsylvania House of Representatives, representing the 18th District from 1991 to 1994. He is also a funeral director, owning and operating Tomlinson Funeral Home in Bensalem, a family business established in 1945. The senator serves as Chairman of the Senate Consumer Protection and Professional Licensure Committee, which works to protect the rights of Pennsylvania consumers and ensures that individuals in regulated professionals adhere to the highest standards. 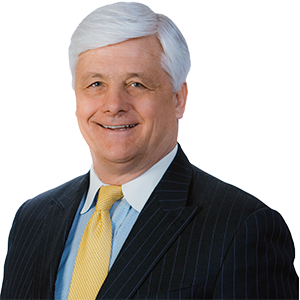 Tomlinson is also a member of the Transportation, Education, Community, Economic and Recreational Development and Rules and Executive Nominations Committees. In addition, he serves on the board of directors for the Pennsylvania Higher Education Assistance Agency and the Pennsylvania Interscholastic Athletic Association and is a member of the Council of Trustees at West Chester University. Tomlinson is a 1964 graduate of Bensalem High School and attended the Bordentown Military Institute. He attended West Chester State College, receiving a B.S. degree in 1970. While at West Chester, he served as captain of the football team in 1969 and helped the team capture the state championship in 1967 and 1969. He also played in the Tangerine Bowl in 1967. In 1971, Tomlinson graduated from Miami Dade University with a degree in Mortuary Science. Tomlinson was a member of the Bensalem Township School Board for 12 years, serving as vice president for two years and president for one. He is currently a member of Bensalem Rotary; the Lower Bucks County Chamber of Commerce; the Bensalem Lions Club; the Bensalem Republican Committee; the Bensalem Business Association; the Bensalem Historical Society; Friends of Bolton Mansion; the Pennsbury Manor Society; Washington Crossing Foundation; Friends of the Silver Lake Nature Center; YWCA Advisory Council; West Chester University Football Hall of Fame; Sturzbecker Foundation Hall of Fame at West Chester University; Bensalem High School Hall of Fame; Bensalem High School Alumni Hall of Fame and the Pennsylvania Funeral Directors Association. In the past, he served as the Chairman of the Legislative Budget and Finance Committee and as a member of the Pennsylvania Children’s Trust Fund; the Lower Bucks Hospital Board of Directors; the St. Mary’s Medical Center Advisory Board and the Advisory Council for the Delaware Valley Veterans’ Home; The Bensalem Hall of Fame – Memorial Stadium Committee and the Bensalem Arts and Cultural Advisory Committee.